John Maxwell is a keynote speaker and best selling author of numerous books, including the New York Times and Wall Street Journal bestseller, The 21 Irrefutable Laws of Leadership. 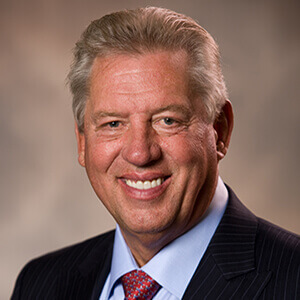 In 1985, John Maxwell founded The INJOY Group, a collection of distinct companies that provide resources and services that help people reach their personal and leadership potential. In addition to building a successful organization, John has authored more than thirty books, including the New York Times best sellers The 21 Irrefutable Laws of Leadership and Failing Forward. Called the nation's foremost expert on leadership, John was born in central Ohio five and a half decades ago. He credits his excellent leadership instincts and his early leadership training to his father, Melvin Maxwell, whom he followed into the ministry. For over twenty-five years, John led churches in Indiana, Ohio, and California. In 1995, John began dedicating himself full-time to writing, speaking, and consulting. Each year he speaks live to more than 350,000 people. Known as a dynamic communicator, he is in high demand on the topic of leadership, and he speaks to many American corporations and entrepreneurial organizations. He also is a popular speaker for churches, non-profits, sports organizations, and television programs. In addition, he dedicates time each year to teaching leadership internationally. John has earned bachelor's, master's, and doctoral degrees and has also received five honorary doctorates. Two of John's favorite books are How to Win Friends & Influence People by Dale Carnegie, and As a Man Thinketh by James Allen.